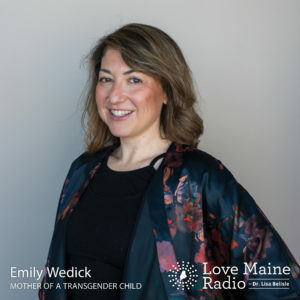 Today we speak with Emily Wedick and her friend Louise, two advertising account managers at Maine Media Collective who each have young children who are transgender. We also speak with Kim Swan, the owner of The Swan Agency Sotheby’s International Realty. Emily Wedick and her friend Louise are advertising account managers at Maine Media Collective. They each have young children who are transgender. As a young child, Kim Swan was immersed in the family real estate and insurance business and as a freshman in college was encouraged by her father to get her real estate license. She joined the family company in 1981, selling homes through college summers before purchasing the company in 1994. Today, she is the sole stockholder of Trumpeter Inc., d/b/a The Swan Agency Sotheby’s International Realty. Swan focuses on business development and selective brokerage of luxury and commercial properties. 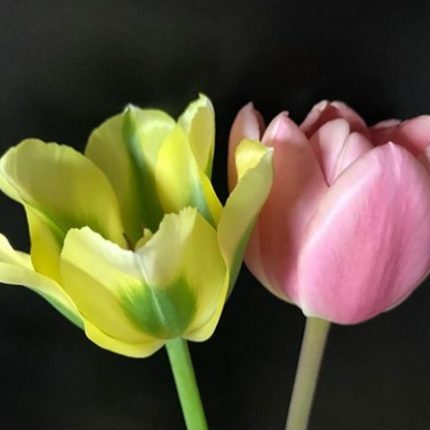 She has also produced Living Acadia TV for the last three seasons and is the founder and creative director of the Mount Desert Island Designer Showhouse. She was the executive producer of the 2017 film “The Fire of ’47” for the Bar Harbor Historical Society and is currently working on the next documentary in the series, “Consolidation,” exploring the 50th Anniversary of Mount Desert Island High School. Swan is on the board of the Bar Harbor Historical Society and previously served ten years as a Bar Harbor town councilor. In 2017, she was awarded the Cadillac Award by the Bar Harbor Chamber of Commerce. Swan has many business interests throughout Maine, focusing on lodging and real estate investment as well as her strong interest in art, interior design and music publishing.